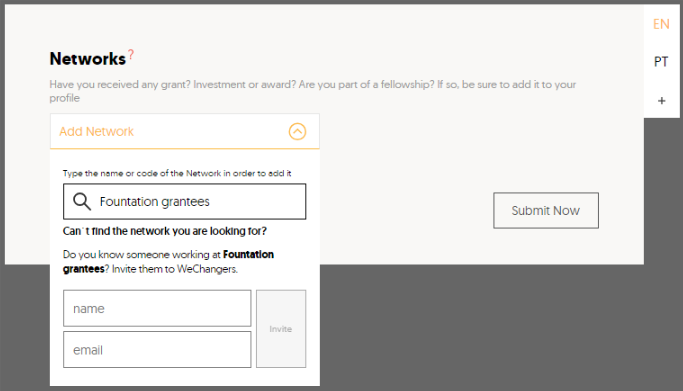 Here you can add connections to your project: grants, investors, awards, or fellowships. You can only link the project to an existing network at WeChangers. At first, your connection will be pending until the network account owner accepts your request. If you want to link your project to a network that does not exist in the platform yet, you can invite them, by inserting their email. You can also try referencing the network on the super browser page. If you're not sure how to do this, please check the article "How do I add a new Network".